Linzie Hebert has been a part of Green Clinic since 2015. 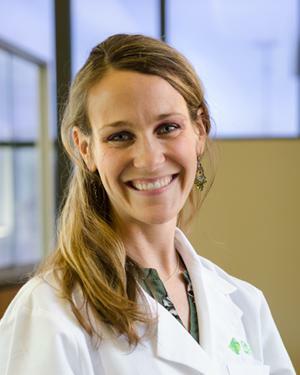 She works with Dr. Josh Mandrell in the dermatology department, treating patients with a variety of hair, skin, and nail disorders. Linzie and her husband, Jeremy, have four children. Her family all attend The Bridge Community Church. A triathlon competitor herself, Linzie and Jeremy have been instrumental in the organization of the Piney Hills Triathlon Group. In 2010, Linzie was the National Age Group Champion (25-30) in the Sprint Triathlon and in 2014 she was the Louisiana State Women’s Sprint Triathlon Champion. Lincoln Parish is home to Linzie, and she says she is honored to give back to the community that helped shape her. Linzie and Dr. Mandrell are currently accepting new patients.